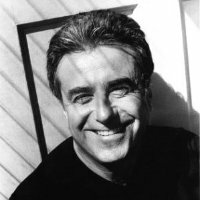 Lee H. Skolnick, FAIA, Architecture 1979, is founder, Principal, and lead designer of the Lee H. Skolnick Design Partnership. He has served on advisory and grant evaluation panels for both the National Endowment for the Arts Design Education and as a panelist for the New York State Council on the Arts for grants for Architecture, Planning and Design. Skolnick has served as an adjunct faculty member at The Cooper Union, New York University and the Bank Street College of Education. His design work has been widely published and has received many awards of excellence, including the “AD 100 Architects” by Architectural Digest and local, state and national AIA Honor Awards. He is a regular speaker for such organizations as the Association of Youth Museums, American Association of Museums, the Association of Science and Technology Centers and the Society for Environmental Graphic Design. Lee Skolnick designed the renovation of the The Great Hall lobby in the early 2000’s. He also designed the children’s history museum at the New-York Historical Society. In addition to designing museums and exhibits, he has created numerous museum education programs, teaching kits, and curriculum materials for schools in New York and throughout the United States. In bringing New York City’s architectural and cultural heritage to its children, he has conducted symposiums, workshops and provided teacher training for some of New York City’s top educational and cultural organizations. Lee H. Skolnick received the 2006 CU President’s Citation and the 2012 John Q. Hejduk Award. He was inducted into The Cooper Union Hall of Fame in 2009. This entry was tagged Children's Museum, Designer, John Q Hejduk Award, Lee H. Skolnick, President’s Citation Award. Bookmark the permalink.